It is in South America yet they speak English. Culturally and in cricket terms they are West Indian. Guyana was the setting for Sir Walter Raleigh’s mystical city of gold: El Dorado. Today the reality is that billions of barrels of quality crude has been discovered offshore. 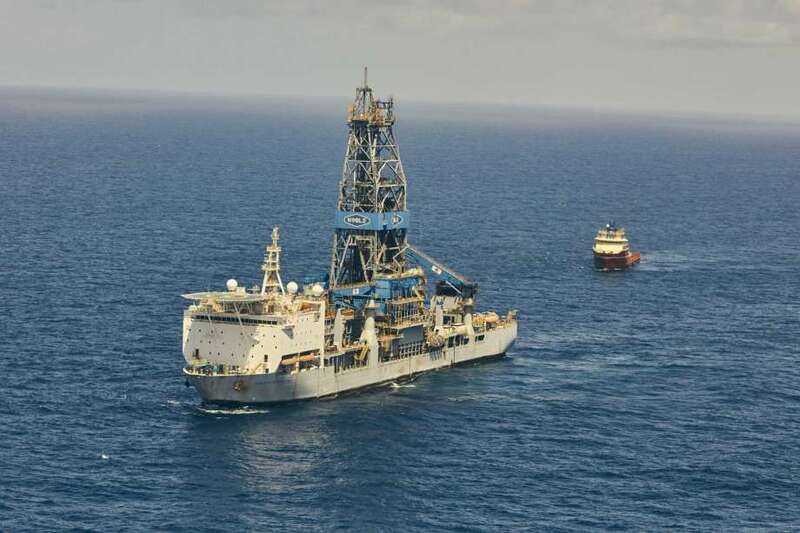 ExxonMobil has declared five and a half billion barrels in their Stabroek block alone. Others are just starting exploration. Some expect there to be up to 13 billion barrels below the seabed.First oil is due later this year and by 2025 Guyana will be in full flow. One startling statistic: There will be a barrel of oil per day per head of the 750,000 population. The nation’s GDP will double. How that oil wealth is distributed is the big question facing a nation in the midst of political chaos. The government lost a vote of confidence last December. Elections, according to the constitution, should be held by March 21. No sign. David Granger’s government is running down the clock. The earliest people here expect is September or more likely December 2019, one full year after the loss of confidence in the National Assembly. Meanwhile the discoveries continue. The Liza development, which will be the first to deliver, is a joint enterprise between Exxonmobil, China National Oil Corporation and Hess Corporation. It is 120 miles off the coast of Guyana. To date 12 wells have come up positive for oil out of just fourteen drilled, a success rate of 82%, four times the industry average worldwide. Liza One alone is expected to yield in excess of one billion barrels. Just last month Exxonmobil announced another two discoveries in their field. Others exploring other fields are being coy. Eco Atlantic thinks it will discover nearly four billion barrels in its patch. This was confirmed to this writer by one of their partners in the venture. Other franchises and fields are currently being touted; the process is held up by the political stasis in Guyana. Parliament is not sitting and will not until the Opposition PPP agrees and that depends on President Granger, who is currently in Cuba receiving chemotherapy for his leukaemia, naming an election date.Granger controls the allocation of blocks personally. The government does have an energy department, but that is headed by Dr Mark Bynoe, who is inexperienced when it comes to oil. He has little autonomy and a tiny staff. Advertisements are currently appearing in the Guyanese press for more professionals. It looks like it will be some time before the energy department gets some energy behind it. Meanwhile exploration of the new “Oil Dorado” continues apace. The oil men and women are coming to town to seek part of the action. This week past Barney Crockett, the Lord Provost of Aberdeen, was here to sign twinning agreements with Georgetown and develop links with the private sector. Trade and oilmen will follow. Guyana has set up a Sovereign Wealth Fund which it calls the Natural Resources Fund. That too is but an embryo within the Finance Ministry. The Petroleum Commission set up to regulate also looks to be still an idea rather that reality.What is real is the potential profits. The world oil price is currently around $60 per barrel. The break even price for the Liza discovery is said to be below $40 per barrel. Guyana’s oil will not only be easy to find it will also be very profitable.In 2012, the United States Geological Survey estimated that that there was 13.6bn barrels of oil and 32 trillion cubic feet of natural gas yet to be discovered in the Guyana-Suriname basin. Some nine decades ago, in 1932, the British Guyana Daily Chronicle was very prescient. “Every Man, Woman and Child in British Guyana Must Become Oil-Minded”, it declared. In 2019 the Guyanese are learning that lesson at long last.